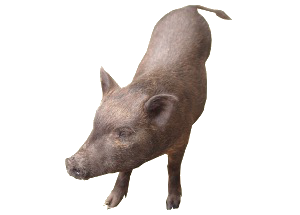 This breeder directory is a list of Members of the Juliana Pig Association & Registry (JPAR). All members have agreed to abide by the outlined Code of Ethics. Buyers can be assured that each breeder listed below is dedicated to raising their pigs in a humane and ethical manner. We encourage you to check out the Litter Announcement page to see who has piglets available. JPAR welcomes feedback on your experience working with our breeders. Please feel free to contact the association to tell us your experience with the breeder that you chose. We look forward to great reviews but know that isn't always the case as things can go wrong. It is important to share those situation too in order to make JPAR the very best it can be for the future. Your concerns will be addressed in a professional, confidential manner. JPAR is accepting new Juliana breeder members into the program. To request inclusion of your farm in this directory please become a member and purchase advertising in the breeder directory. Contact us if you would like further information.